Most of our work is unique, so please get in touch to discuss what custom design we can create for you and we can quickly get back to you with some ideas and pricing. Packages begin at $8 including A5 custom designed invitation, envelope and RSVP double sided postcard on quality high end paper stock (chosen specifically with your wedding in mind). Everything is hand cut, individually checked and created with passion and creativity in our studio. 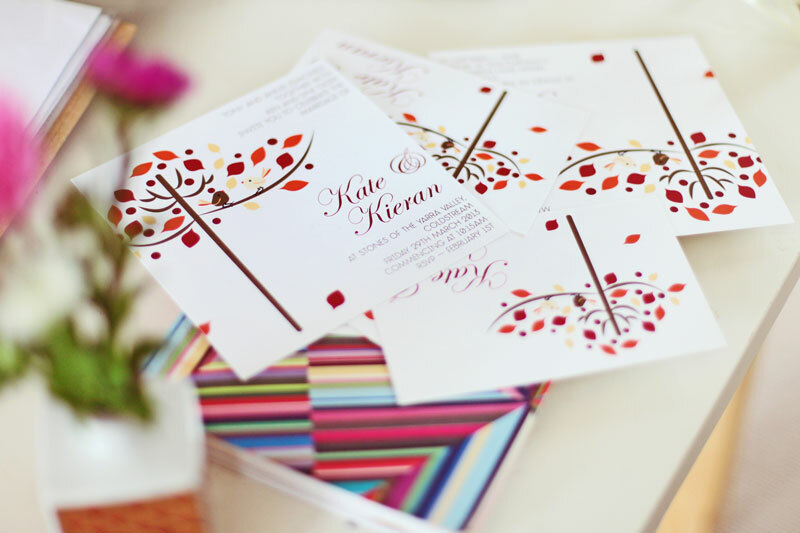 We also offer swing tag enclosures, ribbons, placecards, booklets, gift cards, stickers, bonbonnieres tags etc – the options are endless, the design unique to your wedding.